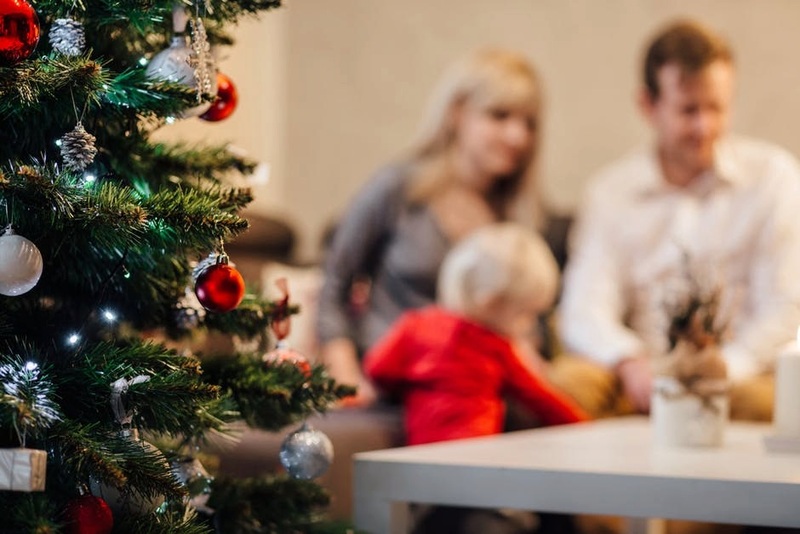 Wondering how to sell your home during the holidays? While putting your home on the market between winter celebrations, school vacations, and looming family visits might seem like miserable timing, sellers could actually benefit by using this period strategically to show and possibly even sell their place. Here's why: Many home sellers take a holiday hiatus until the New Year—and that could mean that your house may suddenly become a hot commodity. Plus, if buyers are truly squeezing in home showings between shopping trips and holiday recitals, you know they must be serious. So if you’re ready to put up a “For Sale” sign under the cheery glow of your holiday lights, go right ahead! Here's some advice on how to sell your home during the holidays. A little mistletoe will likely help rather than hurt. “Go easy on decorations,” cautions Samuel Pawlitzki with Beach Cities Real Estate in Malibu, CA. Christmas lights and a tree in the living room are OK, he clarifies, “but I wouldn't suggest staging a nativity scene in the front yard. Going berserk on decorations can scare off potential buyers.” And, well, everyone else. Yes, you have a to-do list that stretches from here until Valentine’s Day. But consider squeezing in the time to host a holiday party anyway. “It’s wonderful for potential buyers to walk into a home that smells of fresh-baked cookies, sweets, and holiday cakes,” says Joan Suzio, an interior decorator in Libertyville, IL. Sweeten them up a tad more by leaving a plate of treats out for them to enjoy. Although most people are wishing peace on Earth and goodwill, not everybody will take that message to heart. So, play it safe and don't leave gifts (particularly expensive ones) under a holiday tree during a showing. Consider leaving empty decorative boxes instead. The days have never been darker or shorter, so to ensure your house gives off a warm, comfy vibe, “replace some of your lights with brighter bulbs to add more light for evening showings,” suggests Nathan Garrett, owner of Garretts Realty in Louisville, KY.
As in, give a little more time than you might if you were selling at a different, less frenetic time of year. Live in a part of the country that's hit with snow and ice storms this time of year? Make sure your pathways and sidewalks are cleanly shoveled and your house temperature is comfortable, suggests Valerie Post, a real estate adviser at Engel & Völkers Boston. If it's raining, have umbrellas handy for people to look at outside areas. (Boot covers by the front door are a nice touch.) "This is the time to accentuate heated driveways, attached garages, updated heating systems, newer roofs, and fireplaces," Post adds. A few years ago, Andrew Sandholm, a licensed real estate salesperson with BOND New York Properties, was working with a client looking to buy in Manhattan around the holiday season. The perfect condo went on the market a few days before Christmas. Sandholm immediately notified his buyer, who made an all-cash offer at full asking price the next day. The offer was accepted and on Christmas Eve, when most people were hanging stockings by their mantels with care, the seller and his buyer began work on the contract. They closed a few weeks after the new year. What's the point of this holiday tale?